: 8am - 6pm Mon.-Sat. These kinds of damages mostly impact slant roofs since the roofing material acts as an obstacle to the wind. The wind can damage the roof in many ways, and the most common one is blowing off the building material from some section of the roof. These damages come in various forms and could even be caused by winds and storms. They are the ones where some plants and items around the house fall on the roof and cause destruction. A good example is a tree blown down by a windstorm and falling on a roof thus causing damage. The impact of such building damages depends on the items that have fallen on the roof. They vary between from simple punctures on the roofing product and sheathing to the entire collapse of the roof. Some of these damages are severe and even harm some internal parts of your house. The proper fix for such damages largely relies on the extent of the accident. 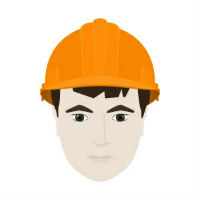 For the most severe ones, a roof replacement is recommended as the best course of action. Small damages such as punctures and partial breakage of the roof structure can be fixed easily by a pro. Roof shingles can be damaged due to a wide variety of reasons. They wear out long before the roof wears out and might have to be replaced. 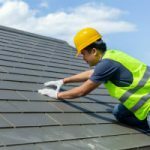 Other causes of damage to the tiles can be by wind, impact by other items and foot traffic when someone is inspecting the roof. 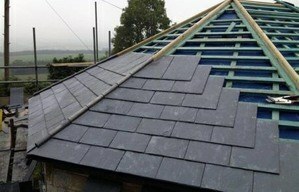 Old tiles and slate can not serve their purpose anymore, and they become brittle and detract from the roof. Fixing damaged tiles and slate entails replacing them or even the entire roof as advised by an expert. These are the most common damages to roofs these days. Leaks can be caused by many things which harm the roofing material and sheathing thus allowing water to leak through. Leaks are problematic since they vary widely and detecting one is not easy. In some cases, pools of water accumulate on your roof and flow through the material over time and into your home. Furthermore, leakages triggered by ice dams are complicated since the specific location where you will see water inside your space may not even be close to where the leak is located on the roof. 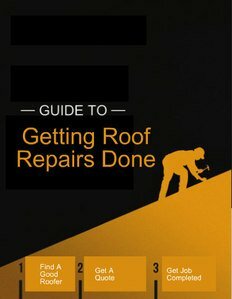 Roof flashing is an important part of the roof. Over time it gets destroyed and allows water to leak into the roof. Fixing the flashing depends on the damage to it and is mostly done by inspecting the roof and replacing them or installing the existing ones properly. Flashings are relatively durable and can be recycled. Rain gutters and downspouts are meant to direct water flowing on the roof away to a drainage system. This helps to avoid cases of water accumulating on the roof and activating leaks. Gutters can also be blocked by debris on the roof, and this makes them unable to let water flow freely. 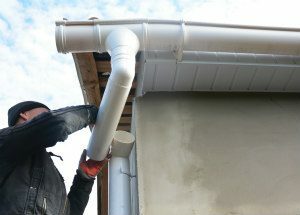 Fixing it is done by examining the interior part of these rain gutters and clearing out any material that might block the water path. Dents and scrapes can also be fixed to allow water to flow freely. Roof air flow needs to be in top condition since problems can allow animals and other elements of weather such as hailstones to get into your living space. They also get obstructed over time and fail to perform their function. Repairing them entails inspection of the vents and installing new ones if need be. Blistering on roofs is caused by entrapped moisture and poor air flow within shingles. Blisters are not much of a bother since they do not affect the roof, but the problem comes in when it pops. Blisters should be pointed out clearly since they can be confused with other forms of problems and fixed by releasing the trapped moisture. 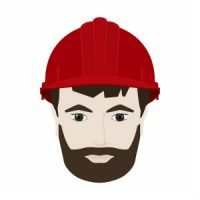 If you would like to get an assessment and a free review of your roofing and damage done or leaking roof, simply call or roofers for an assessment and a quote to get the work done, see which quote gives you the best value or your preferred roofer and get it completed and prevent bigger damage in the future that may cost you more in the long run.